We have received hundreds of requests over the last 10 days from all over North America for pic’s of Litefoot and Carmen’s new infant son: Sequoyah Leo Davis. The family has supplied us with these images, taken over the past 10 days for you to enjoy. 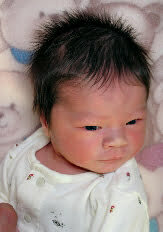 Sequoyah was born on October 7th, 2010 and is a healthy and well bundle of joy!